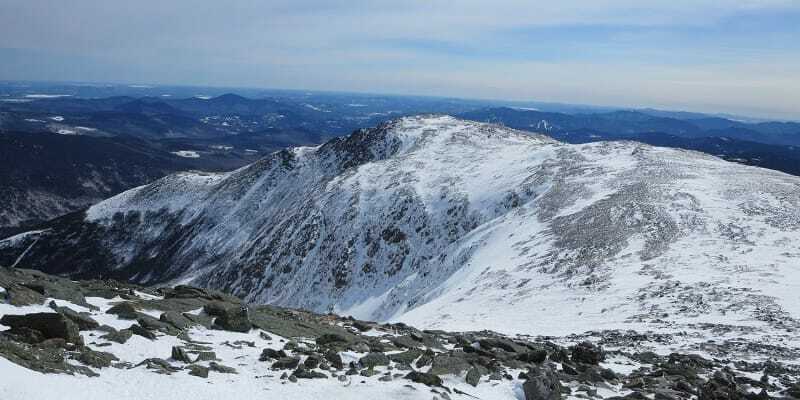 The first time I visited New Hampshire’s Mount Washington in the winter and attempted to visit its infamously windy and icy summit, I made a vow to go back each and every winter to do the same. So far so good, although in 2015 I barely made it in time. 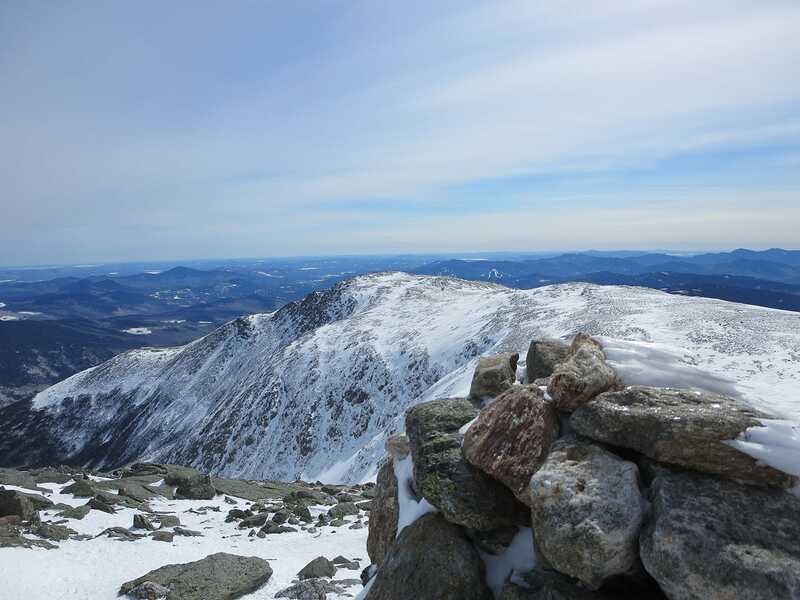 I made it up to NH just as winter was coming to an end in mid-March to mark my third consecutive year, after December 2013 and February 2014. 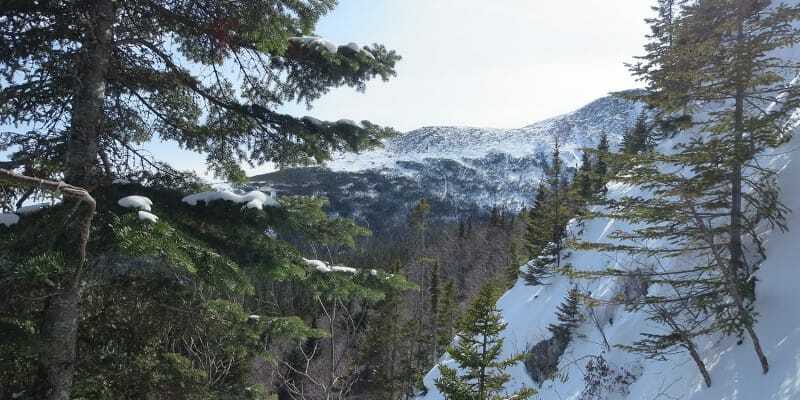 As always in the winter, I planned to head up Washington’s Lion Head Winter Route, which rangers set for climbers to best stay safe from avalanches. 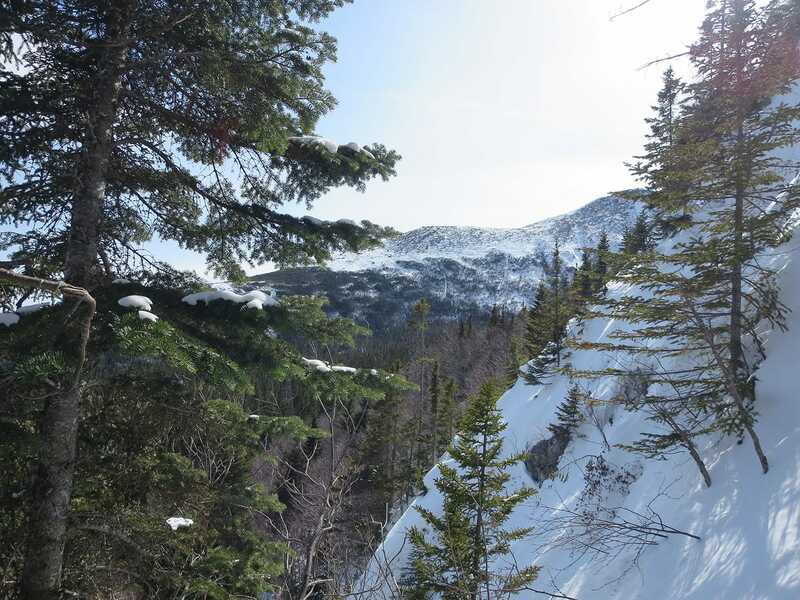 While the Lion Head route changes slightly from year to year – or even month to month – depending on trail conditions, the general direction and scope of the trail remains the same. 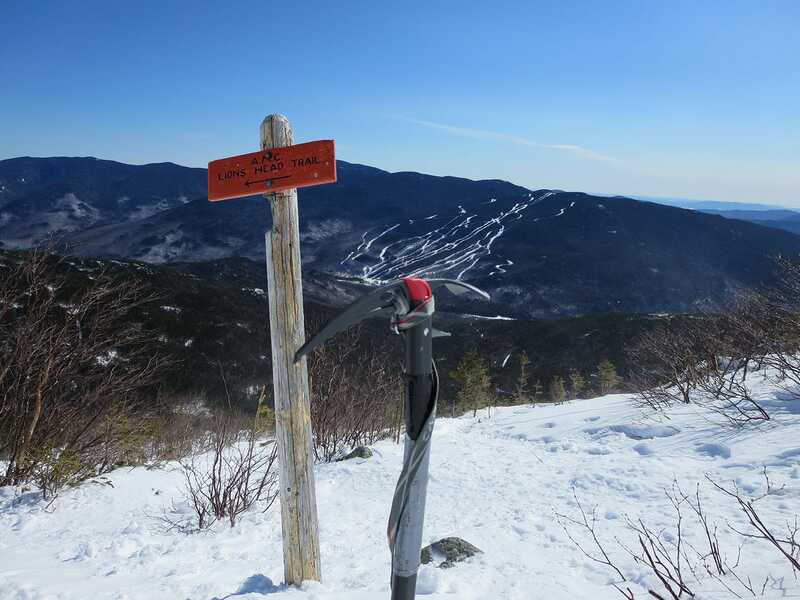 I made good time up the Tuckerman Ravine trail and put on my crampons for the steepest part of the trail, which shows up right after the junction with the Lion Head trail. The sun made it unusually warm on this steepest section, but the fact that the trail still winds up between the trees helped to keep conditions pretty stable. 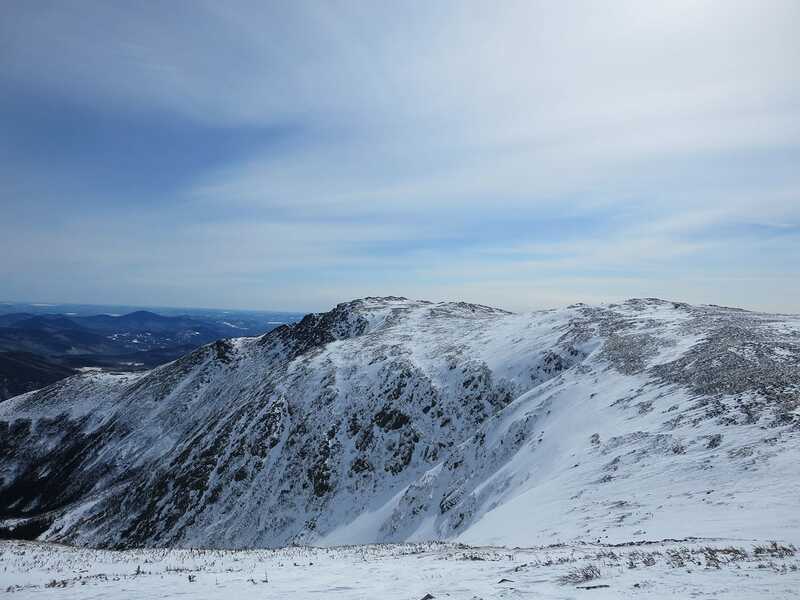 Once atop that section, I started to cross the most exposed section of the route. Winds picked up here and I crossed this exposed section near Lion Head, but visibility was great and there were no signs of the weather turning any time soon. 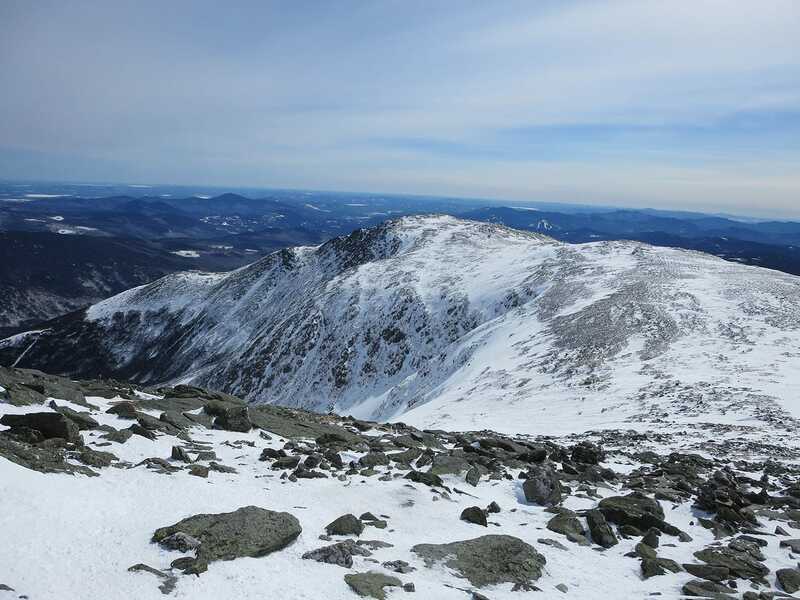 All things considered, the weather mostly cooperated, as winds probably never exceeded 35 MPH and wind chill temperatures probably didn’t dip too far below 0 F.
As I neared the final turn of the route near the base of the summit cone, I caught up with a small group of climbers. 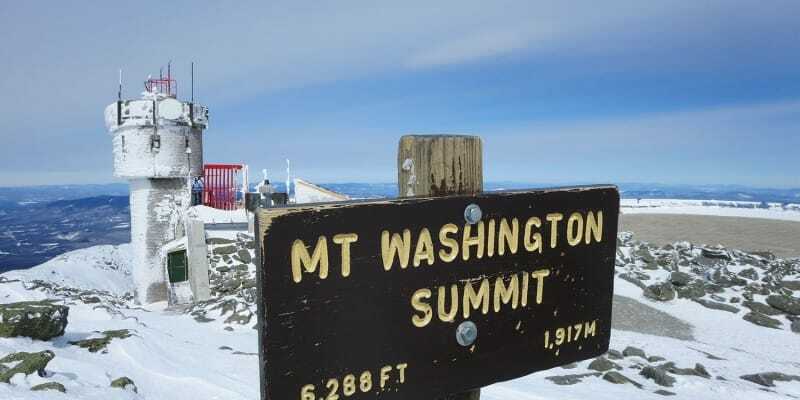 I noticed that they were slightly off course (it was their first time on Washington) so together we weaved our way to the summit without issue. I snapped a photo of two shirtless buddies near the summit complex (the wind chill was probably -10 F), grabbed a quick snack and then headed down before my hands started to ache from the cold. 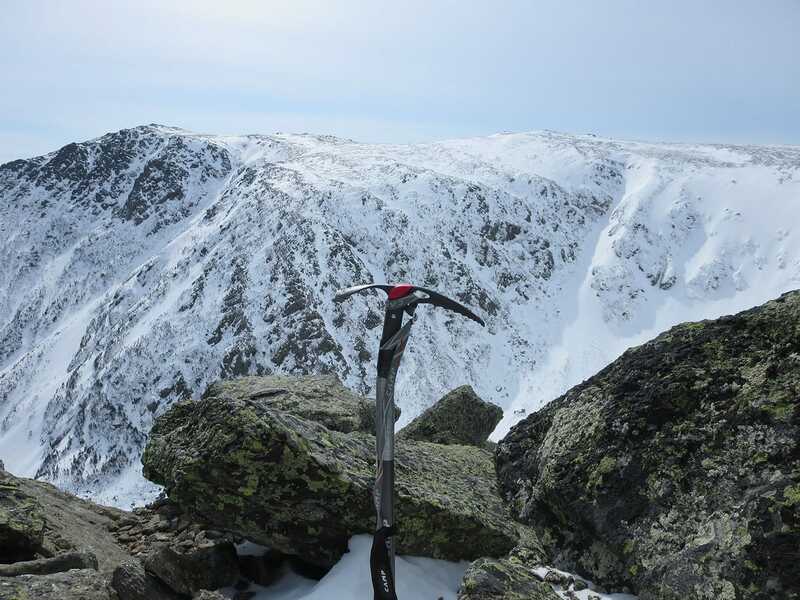 The trip down was mostly uneventful but I did stop to talk with a number of climbers, mostly first-timers, as they made their way up and exclaimed about the wind and cold. 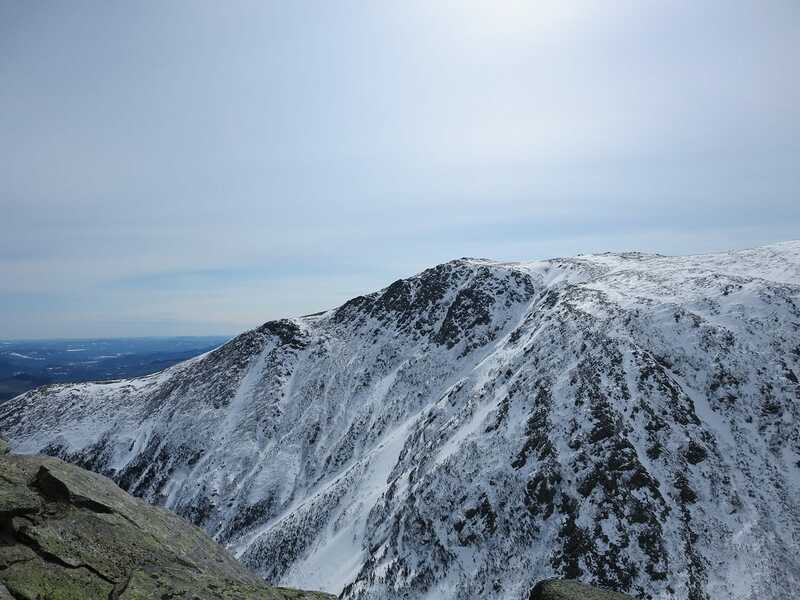 Once you’ve climbed Washington and/or hiked NH’s White Mountains in winter, the words “cold” and “windy” take on whole new meanings. These become highly subjective and relative terms. 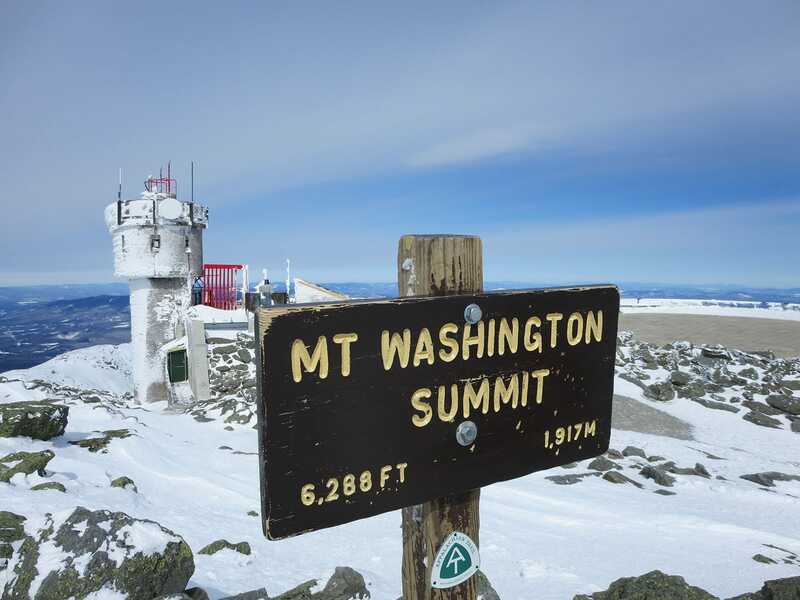 Thinking back to my February 2014 – or more specifically the day after that when I visited Washington’s neighbor Mount Adams – made this one seem like a day on the beach. I’d be very interested to hear what your clothing layering was for this climb, especially from Lions Head to the summit. I’ve read many generic lists but you’ve done it and you know what you took and how well it worked. Thanks.